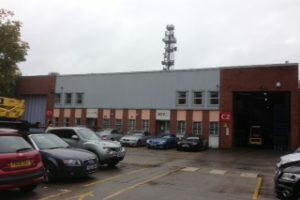 Our Client occupied two adjoining industrial units in Gildersome, West Yorkshire under separate leases and had interconnected the two buildings for their operational purposes. There were 5 years left to run on both leases and our Client was looking to plan for their end of lease dilapidations’ liabilities so instructed us to carry out a Dilapidations Assessment to set out their anticipated dilapidations liabilities. In undertaking this instruction we reviewed the lease and licence documentation and undertook a survey of the property, which included hiring an access hoist to inspect and identify high level and roof defects. The inspection highlighted a number of defects at high level some of which if left unattended would deteriorate further and should they not be addressed until the lease end could be significantly worse and more costly to deal with. The report we produced, whilst setting out the dilapidations’ issues and their anticipated costs, included recommendations for works to be done in the short and medium term, especially where they were progressively deteriorating. This information and advice allowed our Client not only to budget for works in 5 years at the lease end, but also to plan general maintenance works to prevent current defects deteriorating further. For further information please contact Anna King (anna_king@tg-a.co.uk , tel: 01293 804672).